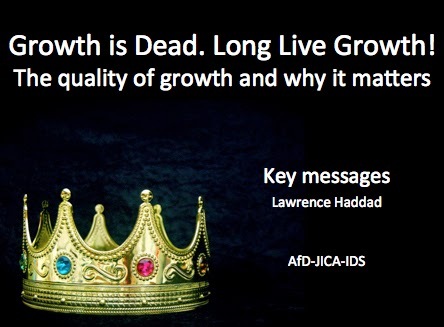 Development Horizons by Lawrence Haddad: Growth is Dead. Long Live Growth! Does the Quality of Growth Matter?